The Easy Five Step Solution to Business Fly Control - Yes Pest Pros, Inc. 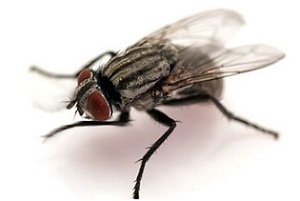 The Easy Five Step Solution to Business Fly Control - Yes Pest Pros, Inc. Nothing beats summertime in Indiana. The air is clean, the days are endless and the nights are unforgettable. However, you aren’t the only one out there enjoying these beautiful summers. rk on a large industrial site, the number of possible breeding areas is nearly limitless. Not only do these breeding areas pose a danger to your coworkers, but they can pose a risk to the entire community. These fly management and control tips from an Indiana pest control company such as Young Environmental Services can help you keep a mosquito and fly-free workplace. Mosquitoes and flies love damp, wet areas. Pools of water no bigger than an overturned bottle cap can harbour tens of millions of mosquitoes and black flies, and so can piles of rotting garbage or even moist, leftover lawn trimmings or even piles of cordwood, so having a trained expert from Young Environmental Services on hand can make a big difference in helping you beat the mosquito menace. Small pools of standing water aren’t the only places where bugs can breed. Drain pipes often collect small amounts of water and can be a big time problem during warm summer days. Tiny fruit flies can breed in tiny crevices and cracks in the side of your building where water collects. You’ll need a sharp eye to catch all of these risk areas, so rely on Young Environmental Services to find the source of the problem and eradicate it. Next comes a seals check across your property. From windows to doors to vents, even the smallest crack and loose screen can allow pests into your property. If you run a large plant or industrial park, a check like this could save you a bundle in heating and cooling costs and help to keep your workplace pest-free. The pros at Young Environmental Services are the pest control experts you can count on to get the job done right. The final steps are the introduction of product and mechanical controls. Non-chemical eradication methods such as traps and the use of sprays can be a big part of the solution. You can trust the experts at Young Environmental Services an Indiana pest exterminator to go the extra mile and do what it takes to keep your workplace, and your community, free of annoying black flies and mosquitoes this year.